Dana Markos Events; Event Design and Floral Styling: Our favorite 'Something Blue' Ideas! We decided to dedicate this feature to helping our readers who were trying to come up with some creative ideas for their Something Blue, and came up with our own list of top 5 ideas! Hope you enjoy! 5.) These small blue letter appliques spell out the words "I Do" and go on the bottom of your wedding shoes! A great discrete way to wear something blue, that will also allow you to remember our big day each time your see your shoes! 4.) 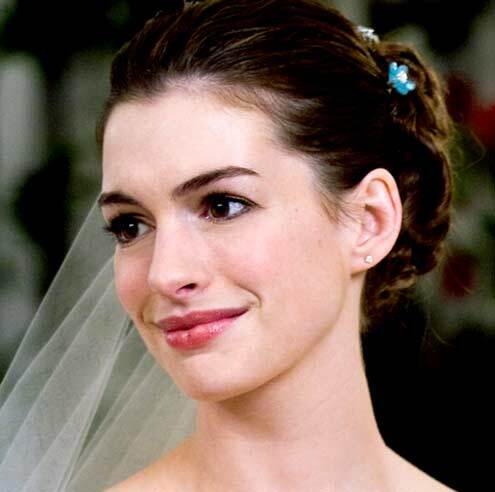 We loved the tiny blue flower hair pin that Anne Hathaway wore in her hair in the movie Bride Wars! It was just the right little pop of color between her dark brown hair and white dress and veil! 3.) By adding beautiful jewelry to your wedding look, you enhance your overall appearance from pretty to stunning! 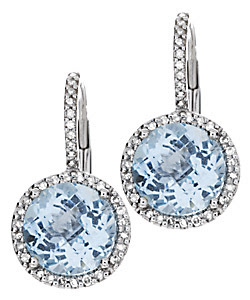 These diamond and topaz earrings by Max and Chloe give you a hint of light blue in the large center stone and look amazing! 2.) Try painting your nails a shade of blue to give your shoes a little pop of color! If it's too much for your fingers, use the polish on your toes! 1.) 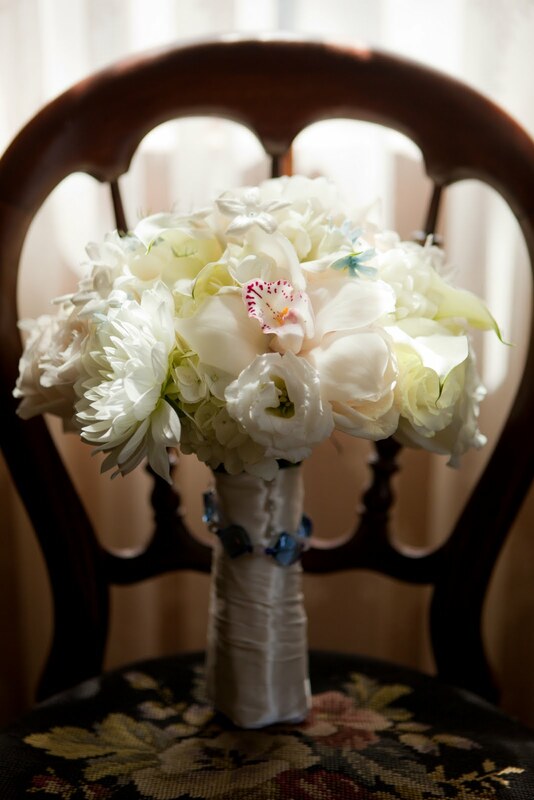 Naturally our top favorite Something Blue idea is adding a blue touch into your Bridal Bouquet! The one below shows some great detail work with blue beading tied around the handle of the bouquet, a specialty of Dana Markos Events! These are our top five favorite Something Blue ideas for our Brides! Did you do something totally different? Did you forget until the day of?! Let us know!